The Portland Pirates lose to the Providence Bruins in a shootout. 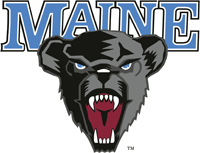 The UMaine Black Bears Hockey team beat Merrimack in the 1st of two at Alfond this weekend, 2 - 1. The Minnesota Timberwolves shot a dismal 31% from the floor as the Celtics slam the Wolves 95 -78. The Bruins beat up on the Florida Panthers at home for a 4 - 2 win. The win moves them into a 1st Place tie with the New York Rangers in the Eastern Conference and 3 points back for the NHL Points lead.